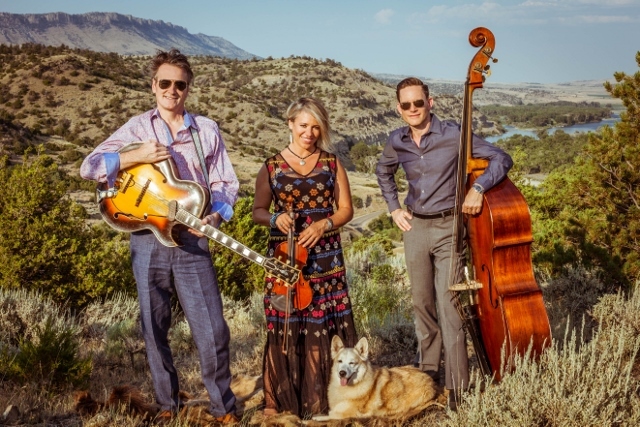 Since its beginnings in the late 1990s, when Elana James placed an ad in the music section of the Village Voice looking to join a band, and Whit Smith answered it, the Hot Club of Cowtown’s star has continued to rise as its reputation for jaw-dropping virtuosity and unforgettable live shows has become the band’s global brand. Bassist Jake Erwin joined in 2001, and cemented Hot Club’s larger-than-life, earth-shaking rhythmic foundation. The music of Hot Club of Cowtown has always been a secret brew of energy, joie de vivre, and a respect for tradition that is often imitated but never equaled, and we hope you’ll join us to see them live at the Fall Strawberry Music Festival, at Westside in Tuolumne.